Whether you’re a chocolate addict or simply love indulging in toffees or Turkish delight every once in a while, these South African sweet shops will help you satisfy the craving. Moniki is a small chocolatier in the beautiful town of Tulbagh in the Western Cape Winelands. 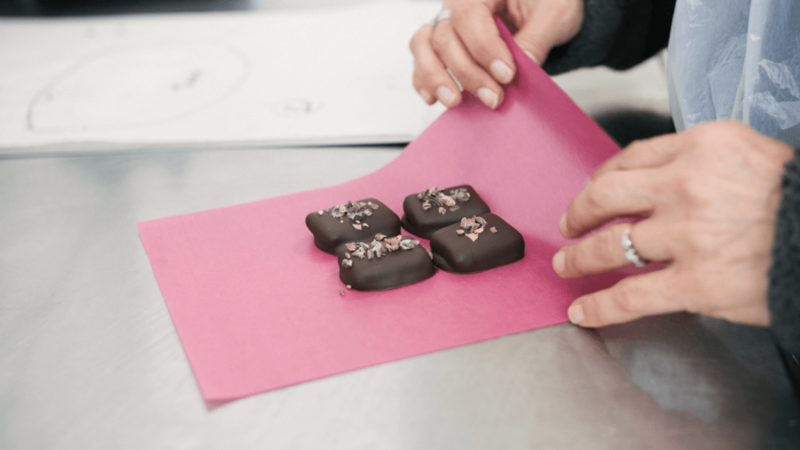 See the chocolatier, Niki de Wolf van Kooij, in action as she makes all the handcrafted chocolates on site. The store also serves coffee, tea and other hot drinks, so you can sit down and savour each bite. Basilei’s products are so beautiful you’ll almost feel bad about eating them. Once you do, however, you’ll understand why they’re so popular. Their range includes luxury fudges, dark chocolate brownies, Italian-inspired nougat and the fluffiest marshmallows. Everything can be ordered online, all you have to do is pop them an email and they’ll send a catalogue and deliver straight to your doorstep. What started as a small business in 1994 by Guy and Jane Matthews has grown into one of the most recognised names in the South African sweet industry. Their specialty includes nougat, brittle and biscuits and products are stocked in SPAR stores countrywide. Next time you find yourself in the sweet isle of the grocery store make sure to support local by picking up a few of their delicious products. 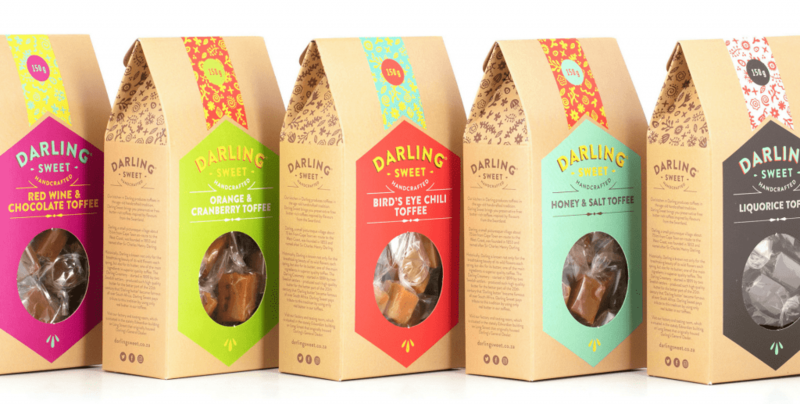 Darling Sweet produces the tastiest toffees you’ll ever eat and their exciting offering has expanded to include honey and toffee spreads. 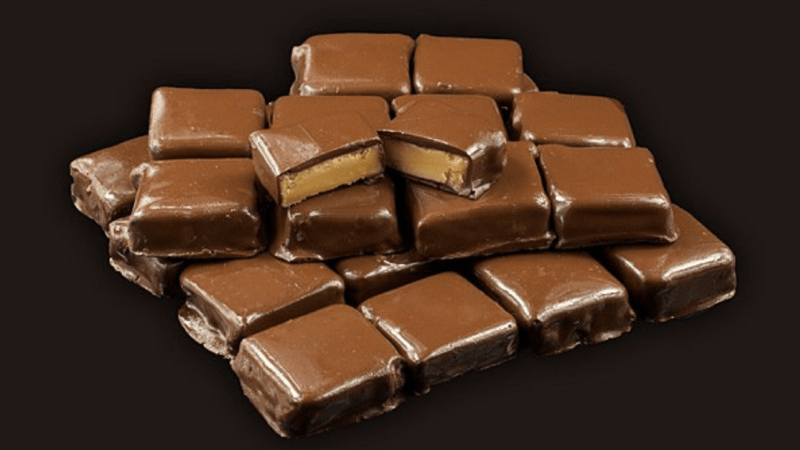 And don’t think a toffee is simply a toffee; their inventive flavours include rooibos chai, red wine and chocolate, and even bird’s eye chili. Dicks Sweets is a family run business in its fourth generation based in Johannesburg. They sell everything from nougat and fudge to Turkish delight, boilings, coconut ice and honeycomb. Their recipes have remained the same since the company’s inception in 1938 and every product is handmade in copper pots over gas fires. The authentic sweets can be purchased from their first ever, recently opened store in Northcliff, Johannesburg. Using a traditional Scottish recipe and real farm butter ensures Durran’s Fudge’s products are as creamy and smooth as they come. The handmade fudge is free from artificial colourants and literally melts in your mouth. What’s more, the company, headed by Angus Durran, uses only recycled packaging and supports an education programme for the disadvantaged. Nougat, fudge, macarons, brittles, marshmallows and Turkish delight are what you’ll find at Ma Mère Confections, based in Cape Town. Their beautiful treats make great gifts and are packaged in pretty boxes for those after something special. Sweets are traditionally handcrafted and come in unusual and exotic flavours, including strawberry milkshake macarons and speckled egg Turkish delight and nougat. Honest Chocolate in Cape Town sells handmade chocolates, bonbons, spreads and hot chocolate, and often hosts foodie events for all the chocolate lovers out there. Their bonbon workshops are super popular and fill up fast, so keep an eye on their social pages to ensure you don’t miss out. Stock up on everything chocolate at their main outlet store in Woodstock, or, if you’d prefer to take a seat and taste their treats, visit their café in Wale Street. Ooh La La Confectionery has become a well-known brand among locals and as such their range keeps growing. From chocolate and fudge to marshmallows and more inventive sweets such as calissons (a French almond treat), ormolu (butter crunch toffee) and nut pebbles (their top-selling brittle), they have it all. 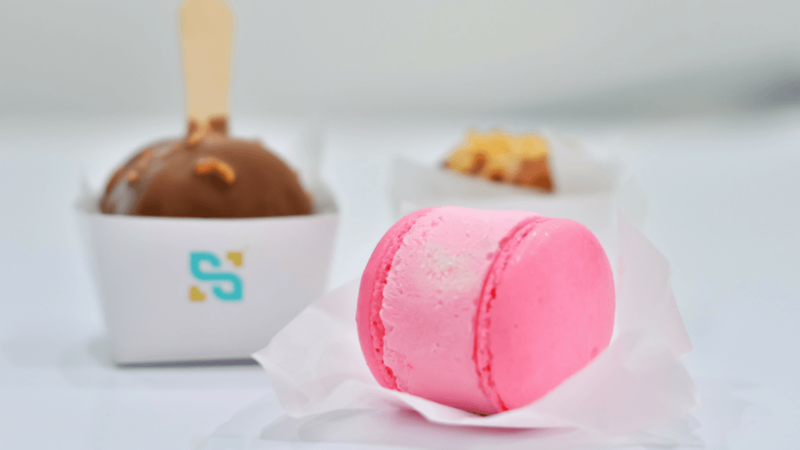 Sugarlicious in Umhlanga is a dessert bar serving, wait for it, ice cream macarons – they’ve taken the best of both worlds and combined them. The bar is based in KwaZulu-Natal but luckily for the rest of the country they often host pop-up stores in Johannesburg and Cape Town. Their flavour range is huge, they even had a limited edition malva pudding ice cream macaron. Yotti’s Turkish delights are made from a traditional Turkish recipe, ensuring the best textures and flavours. Choose between rose, pistachio and cherry, or grab some flavours from their recently added Low GI range. What started as a small business selling at farmer’s markets has grown into a household name. Wedgewood Nougat operates from the Kwa-Zulu Natal Midlands and stocks stores around the country with their delicious products, which include nougat and biscuits.